June | 2015 | Fred Is Working On Something. As you can see, the walls are flat with a store plastered on, and it looks REALLY fake. 1990 Doom era bad CGI. I tried to add some depth with the doorway, but the warping makes it really hard to draw the inside of the black and white store. Even a downloaded texture from cgtextures.com would look flat. I needed to look at some real mall photos for reference. 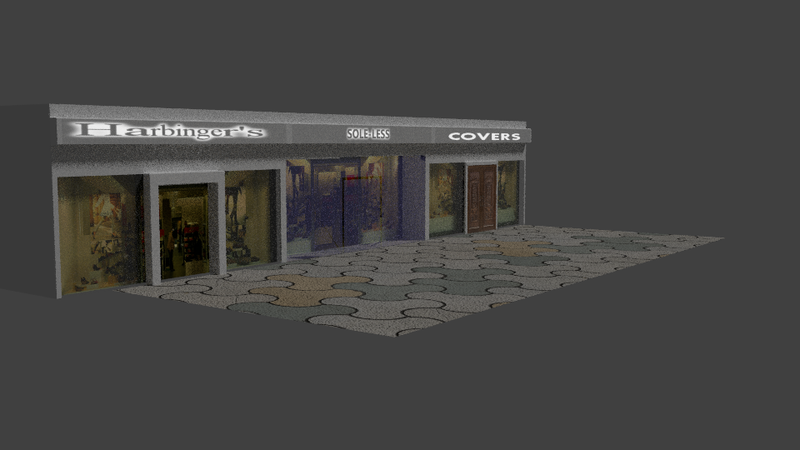 And what I saw is that they all had a “front” and then I could add a texture inside the store. So I tried that. Better, but the all glass front of the “sole-less ” store is problematic. And the doors look a little blocky, and Covers looks still too similar to Harbinger’s. Still, this is promising. Once of the best parts is that it’s the same interior of a store for all three stores, but with a little UV manipulation, it looks like three different stores. I think I can get away with three storefront textures, and a variety of store names and fonts for the signage. 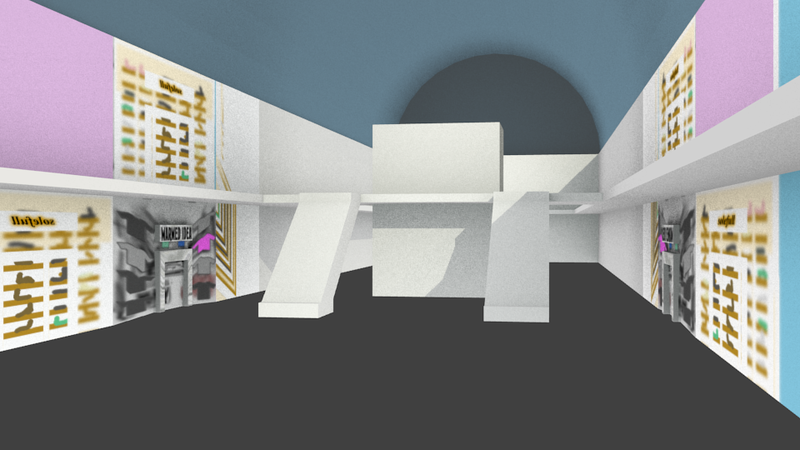 A little bit of tint variation will help with the interior of the stores too. The moral of the story is this-> get some reference, and then realize that there’s only so much you can do with a flat image. But draw the eye elsewhere (to the store front), and you can get away with a flat interior of the store. As always, comments are appreciated.